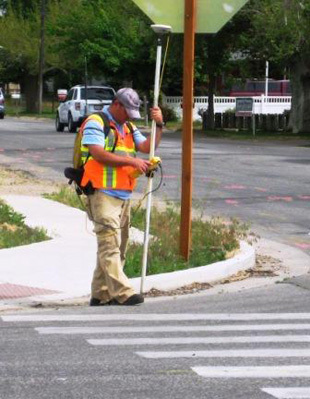 SUE Solution’s team members successfully completed the utility investigations for this UDOT traffic signal project. UDOT utilized an existing “On-Call” contract to facilitate the tight timeframe for collection of the utility information needed. In conjunction with UDOT’s innovative contracting, SUE Solutions mobilized crews and was working in the field within a week of the initial contact made by UDOT. 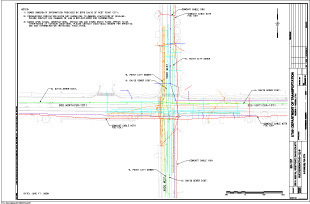 The original scope of work for this project included both Quality Levels ‘B’ and ‘A’ services at the intersection of 300 North (SR-107) and 3000 West, in West Point, Utah. During the QL-B process, SUE Solutions was able to identify seven Utility Owners within the project limits. Of the seven Owners, two of them are not on the Blue Stakes One-Call system, and both proved to be crucial elements for the future design of the traffic signal. SUE Solution’s ability to research, locate, and coordinate with these Owners was a key element in meeting the tight deadlines to make the project a success. As a final project deliverable, SUE Solutions provided a comprehensive final report which included QL-B utility mapping, informational data sheets for storm drain and sewer facilities, photographic documentation, and Utility Owner mapping and contact information.